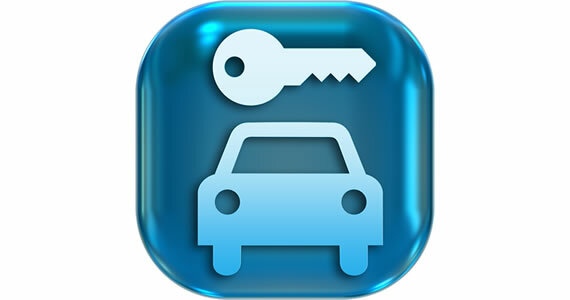 A vehicle owner may need to rent a car storage facility for several reasons. The vehicle owner may have a garage that can only fit one vehicle but he owns more than one vehicle. Or he could be going for a long-distance travel. At such times vehicle owners, may not want to leave their vehicle behind in their garage without any supervision for a long time. It also is possible that the vehicle owner is going during winter and, does not want to leave the vehicle behind in the garage during the long harsh winter without any heat. At such times, when you leave your car in a storage facility not only is the car protected against burglars, but also protected against pests, insects, hazardous elements, nature’s furies such as the harsh sun which can dull the car paint or earth’s moisture which could rust your car. Such facilities also prevent mildew forming on the surface of your car. Car storage facilities usually have dehumidifiers to keep away the moisture. When you use self storage units to store your vehicle, you should ensure that these units are climate controlled. Such storage units also need to have temperature and humidity control as well. 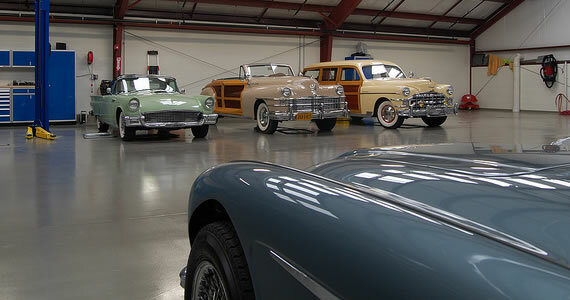 The reasons why these car storage units are ideal are that they are cost effective. These facilities usually have surveillance cameras, fire alarms and intruder alarms so that you can store your car or other vehicles in the storage units without much worry. Many storage units even allow you to choose what components and materials you want to build the storage unit out of. However, if you want to store your car in storage, there are a few things you need to do as well to ensure that your car is not damaged during the storage time. The car should be free of dust as there could be stains in the interior that could damage the paint. Therefore, you should wash the car beforehand to remove any debris. When you clean the interior of your car thoroughly, the chances of permanent stains decrease immensely. You should also fill the gas tank so that there is no moisture left in the tank. You should also change the engine oil as well. Lubricate the car door hinges to allow the hinges to open with ease, and to prevent rust formation. People sometimes opt for shared car storages as it is a cheaper option. This is required when there is no proper location to store your car, and you don’t want to spend much money on storage units. Shared storage units also keep excessive temperatures, moisture and pests at bay. 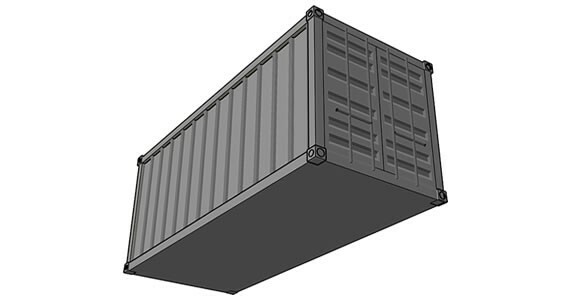 There are fully enclosed storage units so the damage caused is minimized especially in areas with fluctuating temperature or extreme temperatures. Some of these storage units offer maximum security such as pin entry system and 24/7 cameras and alarms in storage units. Using these storage options, you can store your treasured vehicles such as classic or expensive cars. Car storage units are also good for flood prone areas and areas with harsh cold winters. Also, it is ideal if you are an international student, and you cannot afford the extra baggage as it is too expensive. When you use storage facilities, you free space in your house while still ensuring that your vehicle does not get damaged. This is a wise option as not only your vehicle is protected, but also the parts of the vehicle as well. Later when you use your vehicle, you will still get the mileage and will be able to use gas optimally. Car Security System: What to Look Out For? Owning a car brings many benefits to one’s life and changes the whole view of the world. Being aware that you can move whenever you want and do whatever you wish to do is freedom in its purest form. But karma can be pretty restrictive on such perfect situations, which is why there have to be thieves and vandals, to keep the balance. Luckily, car owners today have more options than ever before when it comes to security features. They only need to know what to look out for. Due to the development of fine mechanics and electronics, today car security is delivered by sensors. So, when you are choosing the security system for your car, make sure that it is equipped with proper motion sensors. They activate the alarm by detecting a move meant to invade your beloved four-wheeler. In addition to these features, glass sensors are also extremely practical to enhance your overall car security. They have a special "hearing" ability, which makes the alarm go off and warn the owner if a thief breaks one of the windows. The smartphone is not only an inseparable feature of social and business life, but this gadget can also be pretty handy when it comes to car security, as well. Thanks to some cutting-edge remote systems, nowadays car owners can use their phones to control their alarm and other security features. For instance, you can use your smartphone for remote security control. Together with remote starting, this feature is one of the most useful things when it comes to modern car alarm systems. On a cold morning, you can start your car from the calm of your bedroom and let it warm before you get into it. It benefits both your comfort and your health. In addition to the already discussed remote control features, every owner of a valuable car should add the GPS tracking to their security system. If you activate this GPS option, you will be able to follow and track your car in case it gets stolen. What is more, you can also embed this option into your security system and get alert if your vehicle is driven away from the area that the GPS-supervision remembered last. A great help to modern drivers, this solution is a multi-purpose device that every owner should buy. And if you want to know more about the character and functionality of GPS in general, here is a great overview. When you have decided what car security system you want for your car, you can try and install it all by yourself. However, these state-of-the-art systems are pretty demanding and sensitive. If you fail to place it properly, you might have a double expense. So, it is better to find reliable providers who will be able to ensure that the system is properly installed, advises an experienced Randwick locksmith. That way you will know that everything is assembled in a proper way and you will have no worries about the security of your car. While you can also choose some of the mechanical immobilizers, such as the steering-wheel lock or the tire-lock, they should only come in handy as additional security options. Since modern cars are rich with electronic features, they require security systems that suit such manufacturing. You should never save on your alarms and car security systems, because only a reliable system is a guarantee that you will always find your car where you have parked it. Many experts are worried that hackers may begin targeting these systems, potentially with serious consequences for drivers. In fact, concerned researchers have already been able to successfully commandeer these cars’ systems, doing everything from disabling the brakes to tightening the seat belts. What’s worse, automakers have been slow to react. While protective systems and devices are in the works, there is not yet a product or service available for public use that thoroughly addresses these vulnerabilities. It’s not difficult to imagine the problems this situation could cause. For instance, with a bit of education, unscrupulous individuals could hack into and disable a car’s locks, brakes and engine to car-jack the driver. In a similar scenario, car thieves could unlock and disable the alarm system of a parked vehicle remotely, then casually drive away with it. The financial implications of this are also serious. For now, these sophisticated systems are available mainly on high-end vehicles and represent a substantial loss. Motorist safety is an even bigger concern. Someone with enough malicious intent could override a vehicle’s safety systems, like the brakes and airbag. The perpetrator would also be able to kill a moving vehicle’s engine, causing the driver to completely lose control of the car. While some hacking options are more extreme, another relevant concern is the ability to steal sensitive information by hacking into a car’s information or infotainment system. If people keep files, and other personal information, hackers could remotely hack into the car’s system to obtain information. While many are worried about hackers stealing or controlling the car altogether, it is important to remember that the information on these systems is growing increasingly sensitive and personal. Use a steering wheel lock to secure your parked car. Even if it’s been hacked, it can’t be driven. Have a tracking device installed on your car. If it gets stolen, its location can be traced. 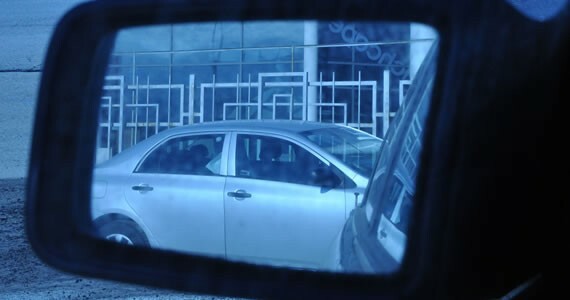 Many cars will have a tracking device in the system, but if the system is compromised an unrelated tracking device on the car will reveal the location. Always park in a safe and secure location, like a locked garage or a well-lit parking lot with 24-hour video surveillance, which tend to deter most criminals. Avoid parking along the street if possible. Be sure any service is performed by a reputable repair garage. A dishonest one could hack your car to make it look like something’s wrong then charge you to "fix" it. Much like the Internet, high-tech cars are convenient and useful, but they also come with risks. Although the automotive industry is beginning to address the digital safety of its vehicles, it’s currently still up to you to keep it protected. By utilizing these tips, you can help to keep yourself and your property safe. The information for this article was provided by the professionals at Thomson Schindle Green Insurance and Financial Services, who specialize in exotic car insurance in Medicine Hat.